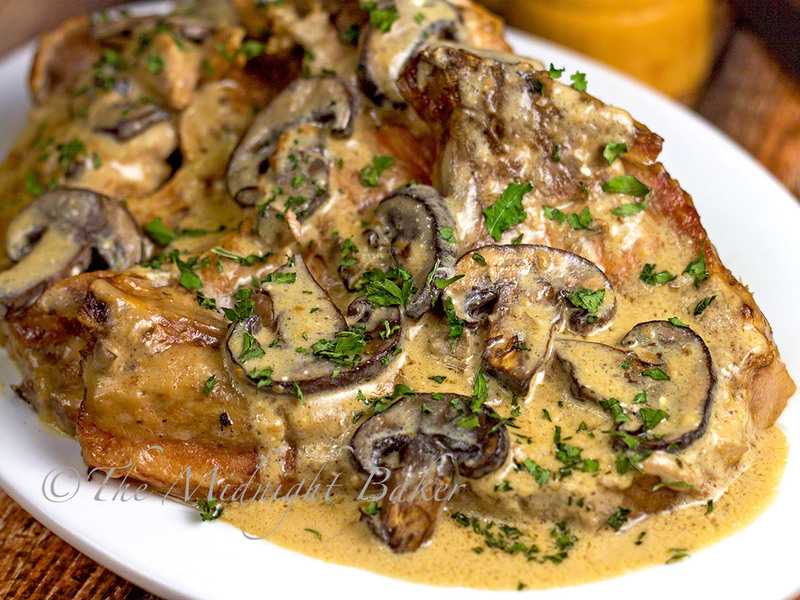 These savory stroganoff-style pork chops are a real family pleaser. Easy too! I think I love pork chops about as much as I do chicken! They had a great sale at a local store a couple of weeks ago so I have a freezer full of them. The secret to the great taste in these chops is twofold–using bone-in chops because bone imparts great flavor to any gravy or sauce and funny enough, the package of pork gravy! Big flavors from few ingredients! For the best flavor, make sure to brown the chops then deglaze the skillet with the water. It’s an extra step, but it is SO worth it. You won’t get the great flavor if you just stick the chops in the cooker raw. I’ve taken to browning all meat I put in the crock pot. The difference in taste is enormous. It’s worth the time! Remember your slow cooker is a fantastic summer kitchen appliance because it doesn’t heat your kitchen! I always tended to think it was more of a winter thing because of the type of food usually cooked in it. I was wrong! For summer meals, it’s the best thing since sliced bread! Can I skip the Sour cream? or substitute it? I left out the sour cream & it was delish! Definitely! I tasted it before and it was super. 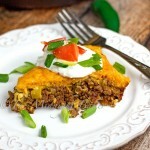 I love sour cream (I know not everyone does) so I added it, but it is perfectly delish without it! I am.not sure if I made a mistake or not but I seasoned my pork chops with Vegeta all purpose seasoning . Do you think it’s going to effect the dish much? I learned something new because I had to google that…and BTW it sounds terrific and I’m going to get some. The only thing I can think of is it may be a tad salty, but throw a raw potato or 2 in there and that probably will take care of the problem! It tastes really good without the sour cream (I tasted before I added it so I can vouch for it). If you can do dairy, then greek yogurt could be substituted or cream cheese. Can I use boneless pork chops?? Sure, but the resulting gravy may not taste as rich. If you do use boneless, make sure to check them in about 5 hours as they may be done faster. Especially if you're using center cut boneless. That seems to dry out if cooked too long. Thanks so much!! Can't wait to try this tomorrow night. Your gravy may be a bit thinner but it should taste fine. Yep Stacy, and what I usually do is stir in any powdered seasonings–like here the gravy mix–right into that so it's nicely blended and you have no parts with a big clump of seasoning which didn't dissolve. Thanks so much. It's in the slow cooker now. how about a pressure cooker? Definitely–but it would need time and water modifications. What I'd do is brown the chops then do them for maybe 10 min @15 psi along with the mushrooms with about 1/2 cup water, then make up the gravy after the chops are cooked using the stock in the pressure cooker. About how many calories is one serving? I have no idea Elizabeth. Try an online calorie counter. I believe Spark has one. Danielle-to deglaze the pan, after you finish browning meat, you take the meat out and leave the heat on under it, then you add the water/stock/wine (the liquid) and scrape up all the browned bits at the bottom of the pan–this liquid adds tons of flavor. What an easy way to enjoy stroganoff for dinner! 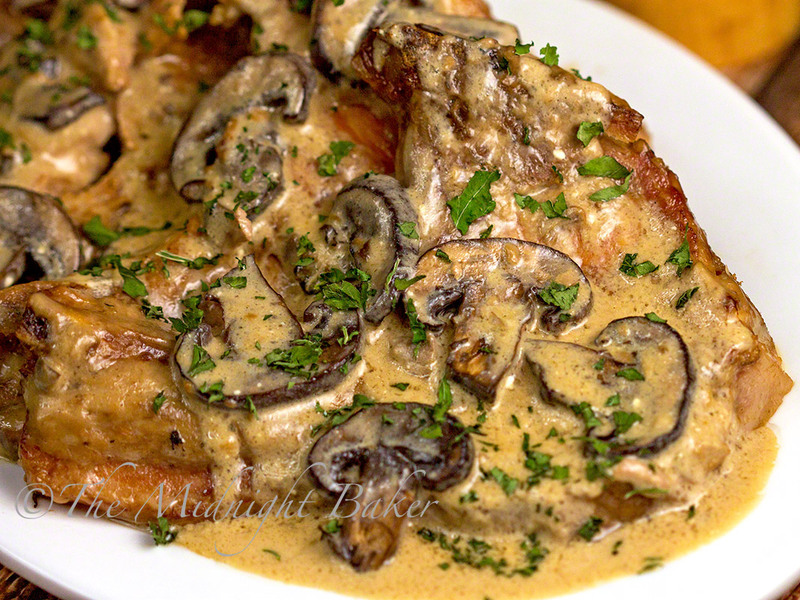 I love the idea of using pork chops… definitely trying this! Tried this last weekend. It was so easy and so good! It was a hit with the kids! So happy you & the kids liked it Boots! Judith, in reading some of the comments I noticed that you answered the same question with two different answers so I don't know which answer to go by. Stacy asked: When making the soup mixture do you add the water/milk as if you were making soup. Your response was:Yep Stacy, and what I usually do is stir in any powdered seasonings–like here the gravy mix–right into that so it's nicely blended and you have no parts with a big clump of seasoning which didn't dissolve. So could you please clarify this. I want to put it on this morning for dinner today. There's no additional water *except* the 1/2 cup specified in the recipe. You don't mix the can of soup like the can directs. What I do is mix the soup and the gravy mix only, add it to the crock pot then I use the 1/2 cup of water to deglaze the pan that I browned the chops in. Then I add that liquid to the crock pot. I hope you enjoy this–it's really delicious! Have you ever tried deglazing the pan with white wine or chicken stock instead of plain water? What are your thoughts on doing this? That's my deglazing method of choice Jim! Only in this I used water, but if you want to substitute stock or wine–sure thing! Can you cook on high for 3-4 hrs? I just made this recipe but used chicken breasts and chicken gravy. And it’s delicious! The only thing I recommend is to slice breasts in half so they are flat and thin. made this about a week ago and served it with rice and broccoli…it was sooooooooooo good! The chops melted right off the bone and got lost in the crock pot…but it was super delicious. Will definitely make again! Thanks for sharing!! This is such a good one! Take a look in the comments to see what Lesley did…this recipe is SO versatile!!! So glad you enjoyed this. Did you use the thick cut or thin cut pork chops? My chops seemed completely cooked (almost dry) after 3 1/2 hours on low. What did I do wrong? This was incredible. My husband loved it and wanted me to make it again next week. I usually go pretty low sodium so it was a little saltier than I’m used to my hubby said it was perfect. Added it to the “GO TO” recipe list! BTW when I signed up for email notifications, after I did the captcha there is a box that explains about checking your email to confirm subscription and then when I clieked the “close” link, it totally shut the browser down instead of taking me back to the recipe page. I hd to dig through my browsing history to find you again! I’ll check out that email thing–I’m always glad when someone alerts me to this kind of stuff so I can look into it. I recently migrated it so that may be the problem or if it was the pop up, I just installed that too, so I’ll check it out. 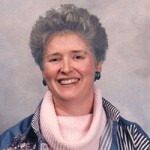 I got out of the over-salting habit when my late husband had to go on a restricted diet. Most times I just use low-sodium products, but don’t list that in the ingredients. The gravy mix…well, what can I say? But I find using the low sodium soup evens out the saltiness of the gravy mix. But I’m so glad you both liked it. This is a wonderful recipe…so simple, but so delicious! So I’m wanting this for dinner tonight. LOL Can this be converted to oven recipe? What temp and how long would you it need to cook? I’d actually choose the stove top to the oven with this because of the gravy–and it’d be quicker too. Brown the pork chops as in the recipe, and the mushrooms, then deglaze the pan with the water…remove the chops so you can stir in the soup mix and gravy packet so it’s smooth and the chops don’t get in the way. Then put the chops back, bring to a boil, then reduce the heat and cover the skillet. 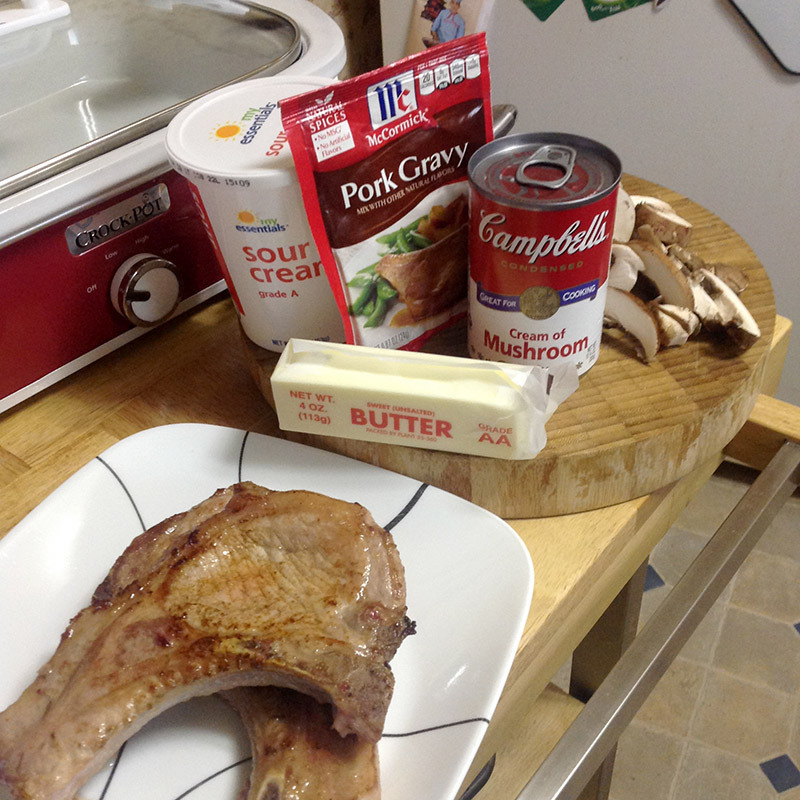 It should take about 30 minutes to cook the chops, then you can remove the chops and stir in the sour cream. How bout using beef broth to deglaze pan? how thick should the pork cops be? Mine were about 3/4-inch thick and I used bone-in rib chops. if mine are a little thicker do I just adjust the cooking time. As you can tell I don’t cook much. Have you ever tried some sherry for the deglazing? I know sherry is used commonly for stroganoff and was curious if you would recommend it. Thanks for this delicious recipe Judith. I have made it at least 6 times as is, and it is really a fabulous recipe, but yesterday I was really pressed for time when company called and I had to get it going to serve all of us since I did not have 6+ hours to spare to prepare it in the slow cooker, so I improvised. In view of that I also wanted extra stroganoff mushroom gravy sauce so I doubled the cans of mushroom soup and the gravies, and of course also doubled the liquid portion as well. I wanted to save time and use both my pressure cooker on sauté function along with my pressure cooker’s slow cook function, and that saved me a great amount of time….so here is what I did to combo cook this in a very fast way which was to slow for only 2 hours after pressure cooking the veggies and meat. BTW you can also use this recipe for making with the pork chops trimmed of all fat, or also use it to also make a delicious beef stroganoff using your choice of beef sliced thin, cubed, or just cut into medium size chunks. Spray inner pressure cooker pot with original Pam spray. In pressure cooker add a few drops of olive oil and sauté 1 large diced onion with 2 cloves of freshly minced garlic, 1 lb sliced button mushrooms and add a pinch of salt over the mushrooms sautéing and stirring just until the mushrooms have released their liquid. When cooked remove with liquid accumulated and set aside for later. Add a bit more oil if needed, and sauté browning the pork chops, or the cubed London broil meat if making beef stroganoff. When meat is browned well add 1 1/2 cups seasoned chicken broth or water, and pressure cook on high setting for 18 minutes letting pressure drop naturally. Remove the pork chops and discard the broth. In a dish mix together the Campbell’s condensed cream of mushroom soup with the McCormicks gravy , and I used McCormicks Mushroom gravy mix for even more mushroom flavoring. 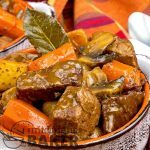 Begin layering the food in the steps outlined in Judith’s recipe using the pressure cooker’s slow cooking mode, or use your own slow cooker if your pressure cooker does not have a slow cook mode. Slow cook covered for 2 hours then when it goes to keep warm function check to see if the gravy needs to be thickened. If it does I use about 1 tablespoon Argo corn starch and a bit of cold water mixed together, and slowly stirred in, until the gravy is thickened to my liking. Final step is to slowly add in the sour cream and stir to incorporate and mix everything well. Serve over hot wide egg noodles, rice, pasta, orzo, or mashed potatoes, and I also topped it off with fresh parsley when served. (I serve this over hot cooked no yolk egg noodles). Great flavor, and an absolute delicious time saving recipe. BTW my Company and family loved this so much. My Company even asked for the recipes, so I gave Judith’s version and mine featuring 1 pot pressure cooking followed by same one pot slow cooking. I hope you all enjoy this way I prepared it as well as Judith’s delicious original recipe which I still use if I have hours to spare to sit guard and watch over the slow cooking process. P.S. Now I never leave the house with any device left cooking without adult supervision, due to a defective slow cooker fire in my last home which occurred while I was at work, and no one thank goodness was home. (Material items are replaceable, but human lives and pet’s lives are not). Now I ensure to be home and keep a close eye on anything cooking by electric with its own built in timer. Thank you so much for this detail of what you did Lorraine!! I’m always reminding readers never to bypass the comments because lots of folks say how they changed the recipe to suit them and many of the changes are so fantastic, it’s better than the original! What a wonderful kind reply……but not better than the original, because your recipe is the original and the very best!!! I hope my one pot version makes life easier for many who need your delicious recipe cooked fast. Also if others need to make a fast sliced beef stroganoff recipe, I have included that too…that also is a winning recipe. Blessings to you Judith, and again many thanks for your fabulous delicious tasting slow cooker recipe, and your kind warm wonderful reply! If I wanted to serve this as a sauce over some pasta, would I need to double the liquid? Thanks! Yes!! Double all the “gravy” ingredients–the soup, the dry gravy mix and the water. Happy Thanksgiving. I’ve made this twice now and we just love it! Definitely a keeper! Is it okay to do the browning and deglazing the night before? I was going to keep the browned meat and sauce in the fridge and then assemble the whole thing in the morning and start cooking. Yes, it all can be done ahead. No never did that but it’s an excellent idea! Should work beautifully. Enjoy–and let me know how it was with the potatoes. OMG I just finished these and they are absolutely delicious. They are supposed to be for Sunday dinner but not sure if they are going to make it until tomorrow. <3 They are really sooooo good!!! do you start with frozen or thawed out pork chops? I started with thawed out ones Katie, but if you don’t want to brown them, then you can start with frozen. This looks amazing! Just got it all into the crock for dinner tonight. 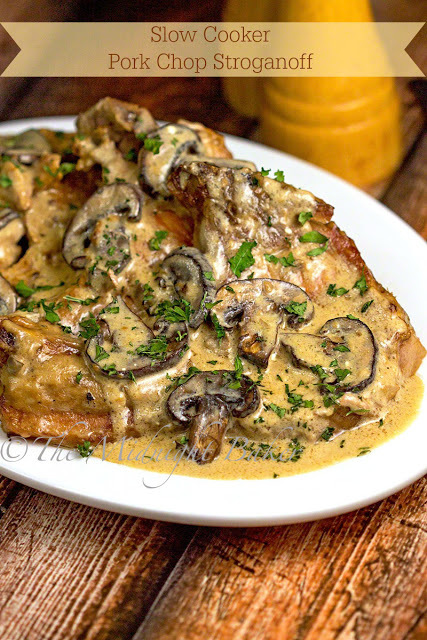 I added a tablespoon of dijon to the soup/gravy sauce and deglazed with a 1/4 cup of bourbon & 1/4 cup of water – because bourbon and chops just SING to me! 🙂 Super excited to taste the finished product. Thanks for sharing your recipe. Hope you like it Kelly. It’s a favorite here and so easy. LOVE the bourbon!!! do u mix the sour cream in the crockpot when its done or later???.. When it’s done, Ashley. Add it about 15 minutes before you’re going to serve–let it warm but not cook. thank you so much! !just tasted it,..it tastes and smells delicious will definitely make this again ,so easy. ..
I’m so glad you liked this! !